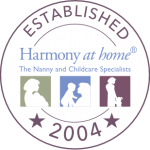 A family in North London are looking for a live- in nanny and housekeeper. They have two children, boy aged 7 and girl aged 4. The family are looking for a fun and energetic individual to help them with childcare and housekeeping and general day to day activities. This will be a sole charge position. The family live in a lovely 5 bedroom Edwardian house in which they are offering the top floor and an en suite bathroom, allowing for privacy when not working. Childcare duties will include school runs both I the morning and afternoons, attending after school activities, preparing and cleaning up after breakfast, helping children with homework, bath times and bed times. They would also like the applicant to have a good level of English and support the children with language and reading activities. As the children are at school during the day the family would like the nanny to carry out some housekeeping such as laundry, ironing, keeping thing tidy, preparing meals. The family would prefer a driver and have a car the successful applicant can use. To apply for this job please contact us with your CV ASAP via email to: demi@harmonyathome.co.uk quoting the job reference code: DP019 thank you.